CDN Print Plastic is leading the way with "greener" environmentally friendly cards. Look at some of our new initiatives. CR-80 Size WOOD CARDS - cards made of a wood base. Magnetic stripes can be added: Hico - Loco, bar codes or personalized. CDN Print Plastic is pleased to introduce our environmentally friendly BIO CARD. This card is fully biodegradable. When this card is discarded, it will biodegrade over a relatively short period and thus is friendly to the environment. 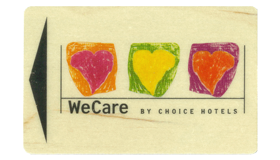 We believe that our BIO CARD is the most biodegradable CR80 plastic card available today. FASTER BREAKDOWN – The discarded BIO CARD will break down faster than other “green” cards. 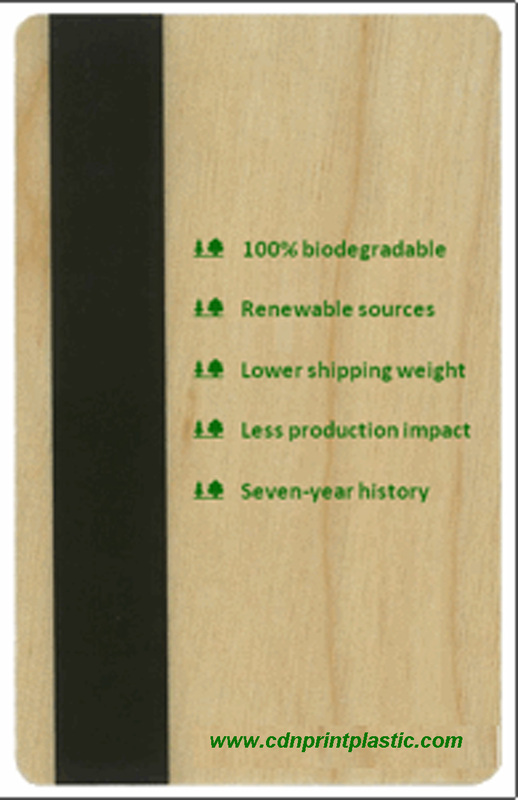 It is estimated that the BIO CARD will fully biodegrade within a period of 6 months to five years. The BIO CARD will break down in landfills, composts (commercial or home), rivers, waterways, and the oceans. DURABLE – The BIO CARD has same durable performance characteristics of the standard PVC plastic cards. The BIO CARD is more durable that other “green” CR80 cards on the market. TESTED -- Testing from two separate sources has confirmed the ability of this card to biodegrade. PREMIUM PRICING – The BIO CARD does have premium pricing as compared to standard PVC plastic cards and can lead to longer lead times. PATENT PENDING -- A patent is pending for this new card.